The BBC World Service Radio pips (or beeps) are an iconic aspect of the radio program broadcast around the planet by shortwave radio as well as the internet now. There's a brand new sound for the BBC World Service with a new signature tune and complementary music for key programmes across our network. The music was composed by Mcasso, one of the UK's leading music and sound companies. We went along to film their recording with the string section of the BBC Concert Orchestra at Angel Recording Studios in Islington, London. There are six pips (short beeps) in total, which occur on each of the 5 seconds leading up to the hour and on the hour itself. Each pip is a 1 kHz tone (about halfway between musical B5 and C6) the first five of which last a tenth of a second each, while the final pip lasts half a second. The actual moment when the hour changes – the "on-time marker" – is at the very beginning of the last pip. I believe that the A above "middle C" on a piano is the one commonly matched to 440 Hz, so I am guessing that C6 in the quote is the one two octaves above "middle C". Question: Is there any way to know exactly how far the orchestra would have had to be "de-tuned" to perfectly match the 1 kHz tone? Which would require less adjustment, writing the piece in the key of B or in C? "bonus points" if someone knows if they in fact did tune accordingly, or if it was so close that they didn't. below: Screenshot from the linked BBC page, though it's out of focus and difficult to read. Also, the title is "Business Daily" and so this may not even be the correct score. 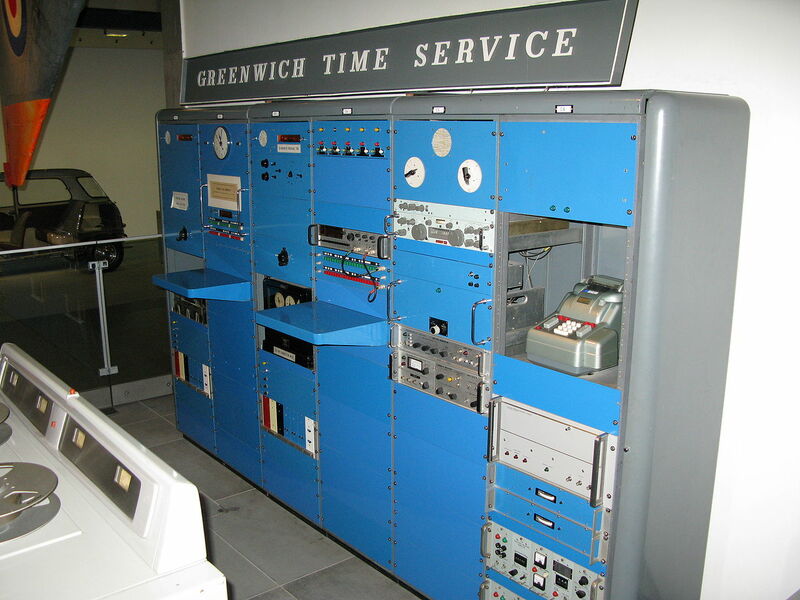 below: Greenwich Time Signal 1970.jpg from here. A tuning difference of 21 cents would be clearly audible, even to the untrained ear. for B5 to be 1000Hz. This isn't really a radical detuning for classical instruments. At various times throughout history, pitches as high as 452Hz were used as standard; even today, some orchestras tune as high as 443Hz (see: History of pitch standards in Western music). As for the fragment heard in the podcast, the pips you hear in it are actually tuned to 1001.6Hz, with the orchestra roughly in tune with it (but slightly flat to my ears), so it's not clear what's going on there; maybe we're not hearing the final product, or the video was sped up slightly during the editing or transfer to the video format used on the website. Not the answer you're looking for? Browse other questions tagged tuning alternative-tunings or ask your own question. How do I tune a Ukulele 1 semi-tone higher? How far “off” can a piano unison be and still be considered “in-tune”? How should I tune my Norwegian-styled hardanger fiddle to play the tune called 'Fanitullen'['The Devil's Tune']?